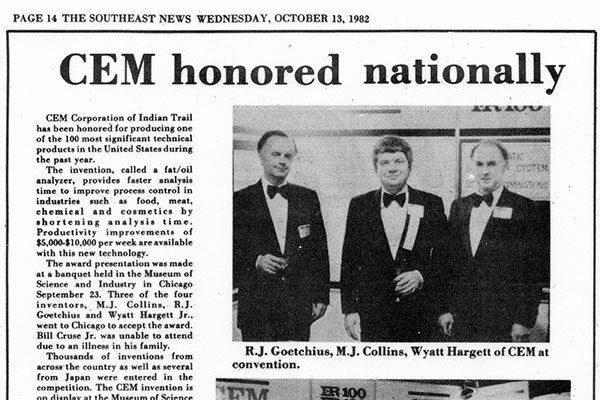 CEM was founded 1978 by our current CEO, Dr. Michael J. Collins. For over 40 years we have designed and developed laboratory instrumentation and scientific methods (both microwave-based and non-microwave technologies) that are used by major companies, prestigious research institutes, and universities around the world. We are a private company with global headquarters outside Charlotte, North Carolina, along with offices in England, Germany, Japan, France, Italy, Singapore, and Ireland. 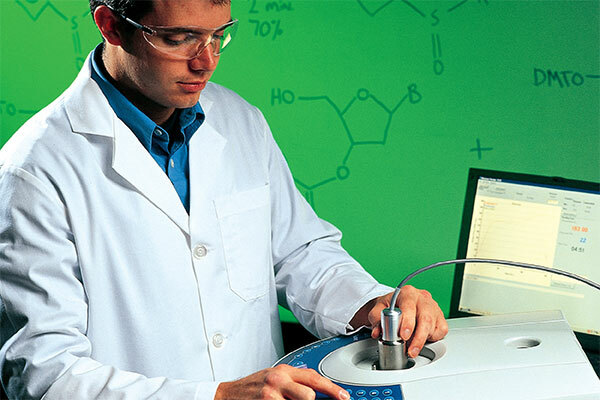 Our major products provide unique solutions for compositional analysis of food and chemical samples, acid digestion for elemental analysis, and chemical synthesis of peptides and small molecules. We believe that our greatest asset as a company is the people we work with. Together, we are what makes CEM what it is today, a great place to work. CEM Corporation is founded based on a revolutionary new microwave drying concept for moisture/solids analysis. 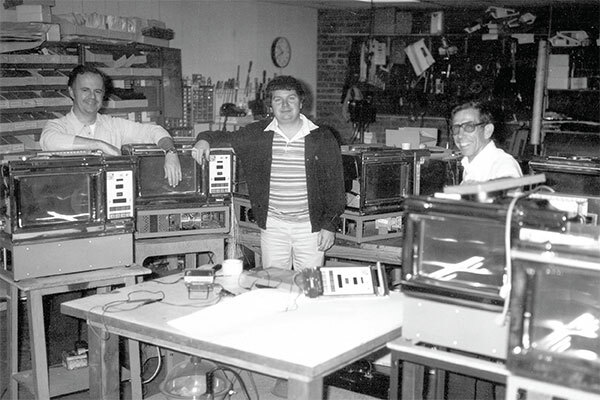 The company’s three founders Dr. Michael J. Collins (C – Chemist), Ronald Goetchius (E – Electrical Engineer), and Bill Cruse Jr. (M – Mechanical Engineer) shared a vision for a new microwave drying technology that could revolutionize the speed with which moisture/ solids analysis could be performed. Together, went out on their own and formed CEM Corporation near Charlotte, NC USA. 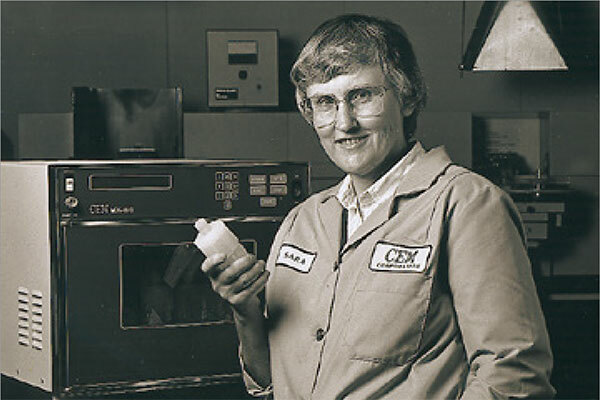 They then developed the first microwave laboratory instrument for moisture/ solids analysis, which reduced analysis times from hours to minutes. This system successfully revolutionized many process control procedures for foods and chemicals globally. CEM expands its product offering to include a new Solvent Extraction System for rapid fat analysis in foods. Expanding into fat testing continued CEM's rapid initial growth phase. This product leveraged CEM's microwave drying system and allowed rapid analysis of fat content after drying. 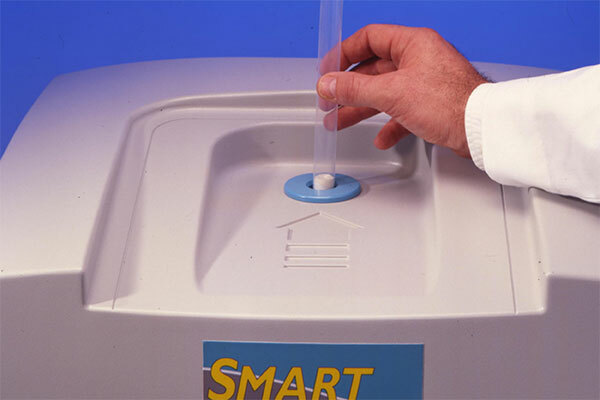 CEM's sales grew further with this new product because of the unique ability for rapid moisture and fat analysis. CEM pioneers a new microwave technology that prepares samples for elemental analysis. CEM utilized its extensive microwave technology expertise to develop the first ever closed-vessel microwave digestion system for elemental analysis. This was a pioneering effort of digesting samples with strong acids at high temperature and pressures inside a microwave cavity thereby allowing subsequent elemental analysis. This required significant technology development in microwave design and Teflon vessels that continues to this day. Microwave digestion has become the standard preparation method for elemental analysis and CEM remains the leader in this field to this day. 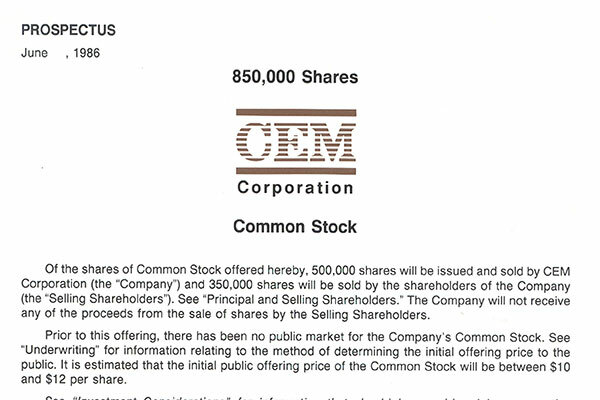 CEM becomes publicly listed on the NASDAQ stock exchange. 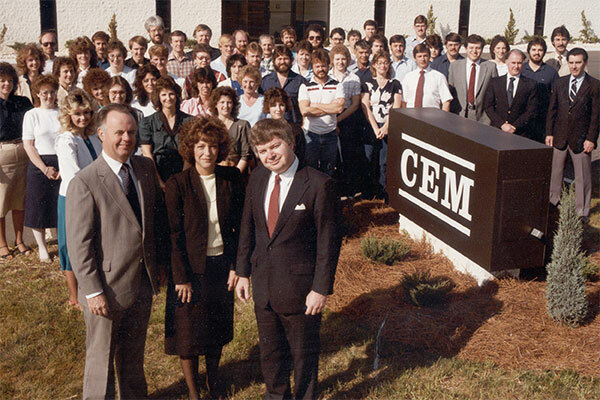 CEM became a publically traded company after the retirement of one of the original founders, Bill Cruse in July, 1986. The company was traded under the symbol CEMX. The capital raised during from the IPO helped support the company’s development of further new products. 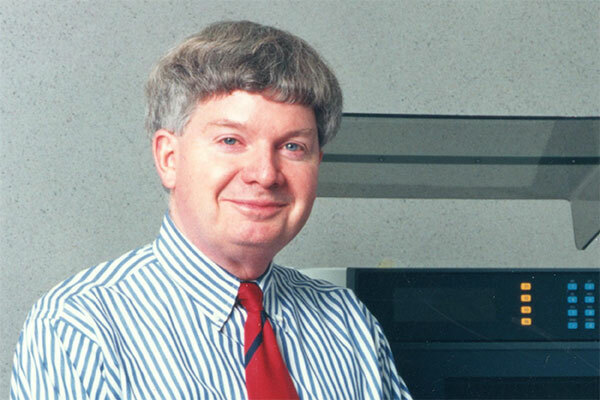 Dr. Michael J. Collins continued to remain the President & CEO of the company. CEM experienced major growth during this period in each of its product areas. The company build a major new headquarters with subsequent further expansions. In this period the company headquarters grew 10-fold to 70,000 sqft. The company also open international offices in the UK, France, Germany, and Italy. These offices supported the sales and service activities in these international markets as CEM’s products become more widely used. CEM’s employees increased from approximately 30 to 150 during this time. CEM’s remaining original founder, Dr. Michael J. Collins purchased all shares of the company and became the sole owner. CEM developed a powerful technology combination of microwave drying with subsequent analysis by nuclear magnetic resonance (NMR) for fat analysis. This technology allowed for rapid fat determination without the use of solvents that were previously required. This simplified fast testing with extremely high precision. In 2017, CEM launched the ORACLE system which, for the first time provided a universal method for determining fat in all types of foods. CEM continued to expand its microwave technology into new areas with the development of a line of microwave synthesizer instrumentation. Microwave synthesis allows chemical reactions to be performed much faster than before with its rapid internal heating capabilities. CEM’s microwave synthesizers are found in many pharmaceutical, biotech, and academic institutions for research worldwide. 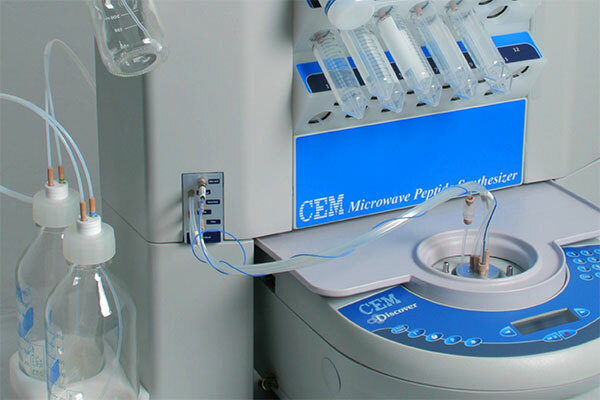 Expanding on the development of a microwave synthesizer, CEM developed a fully automated microwave peptide synthesizer. This system utilized microwave energy to accelerate the solid phase peptide synthesis (SPPS) process. The result was peptides made much faster and more efficiently than ever before. Today, CEM has continued to develop this technology with introduction with the company next generation Liberty Blue in 2013 and Liberty PRIME system in 2018. 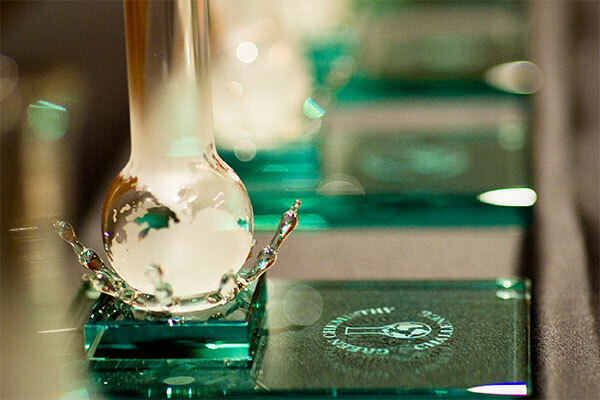 CEM receives the prestigious EPA Presidential Green Chemistry award for its new Protein Analyzer instrument. CEM was awarded a Green Chemistry award from the Environmental Protection Agency (EPA) for its newly developed protein analyzer. This system (Sprint) utilized a non-toxic dye-binding technology that eliminated the need for solvents when analyzing many food based products. To support increased growth in strategic international markets CEM made several key investments. The company went direct in Japan creating its own office and employees near Tokyo. During this period, CEM also established an office in Singapore to provide sales and service support for our Asian dealers. Further, the company also doubled the size of its existing German office creating additional laboratory and office space. 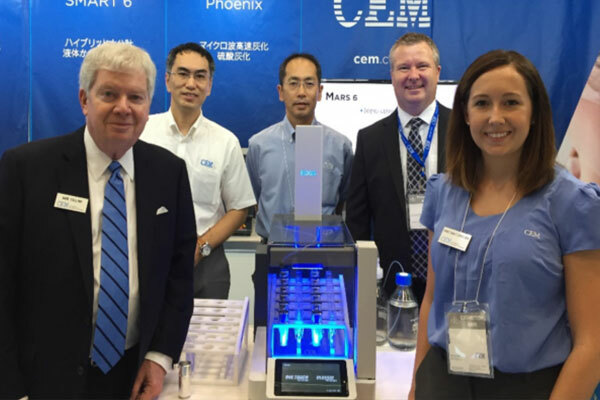 CEM developed the first instrument (EDGE) that combines the processes of pressurized fluid extraction and dispersive solid phase extraction (dSPE) in one instrument. 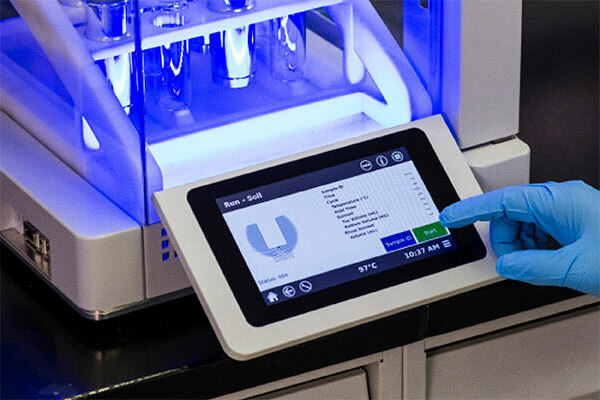 This technology allows for faster solvent-based extraction without the need for high pressures.